British-born Sri Lankan song-writer, rapper, visual artist, activist Mathangi "Maya" Arulpragasam aka M.I.A. will be in South Africa next month. M.I.A. will showcase her unique musical style which combines indie dance, electronica with hip-hop and world music. She has several succesful albums under her belt with her debut Arular in 2005, Kala in 2007, Maya in 2010, Matangi in 2013, AIM in 2016 and single hits like Bad Girls, Bucky Done Gun and more recently Borders, Bring the Noize, Finally while her most well known track is Paper Planes. 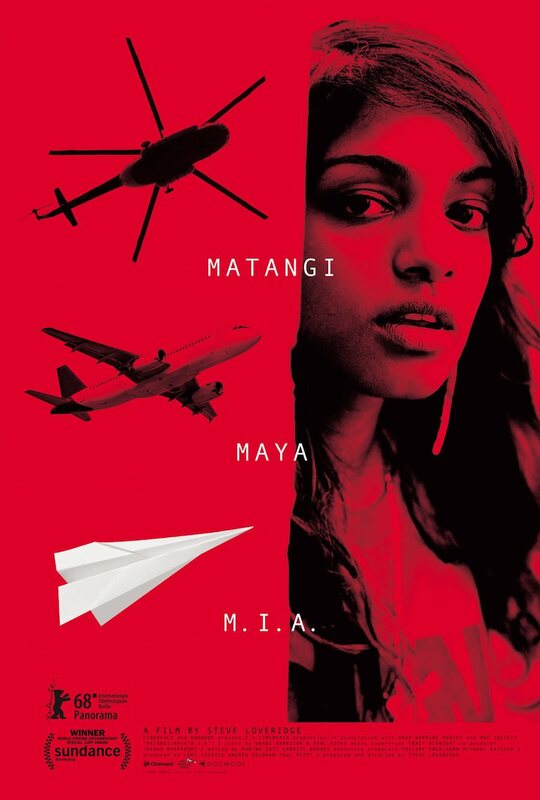 She will be in South Africa promoting her award winning documentary film called Matangi/Maya/M.I.A. which is based on her upbringing in the UK, Sri Lankan heritage influenced by her parents being founding members of Sri Lankan Tamil Resistance, her social activisim and ofcourse her music life. The documentary film has already achieved acclaimed reviews at Berlinale Film Festival 2018 and is a winner of the World Cinema Documentary Special Jury Award at Sundance Film Festival 2018. Matangi/Maya/M.I.A. will be having it’s South African premiere at The Encounters South African International Documentary Festival from 31st May until 10th June 2018 with M.I.A. in attendance for a selected post screenings Q&A's. 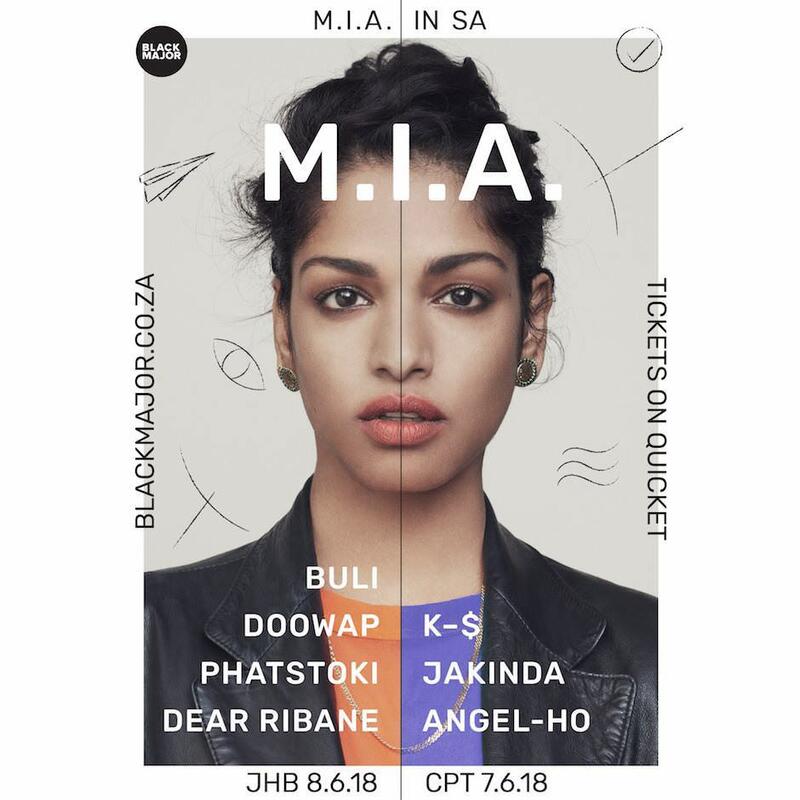 As part of her promotional tour there will be two live-show performances organised by Black Major whom have curated a strong local indie electronic line-up to support her performance in Cape Town on Thursday 7th June 2018 at the Old Biscuit Mill and in Johannesburg on Friday 8th June 2018 at Newtown Music Factory. For event and ticket information click here.